A treatment program for opioid addiction launched in 2016 by the Rhode Island Department of Corrections is associated with a significant drop in post-incarceration drug overdose deaths, and has contributed to an overall drop in overdose deaths statewide. The program, launched in 2016 and the only one of its kind in the nation, screens all Rhode Island inmates for opioid use disorder and provides medications for addiction treatment for those who need it. Comparing the six-month period before the program was implemented to the same period a year later, the study showed a 61 percent decrease in post-incarceration deaths. That decrease contributed to an overall 12 percent reduction in overdose deaths in the state’s general population in the post-implementation period during a time when fentanyl was driving up overdose deaths nationally. The study, published in JAMA Psychiatry, was only a preliminary assessment of the program’s effectiveness. The researchers say the study’s positive results likely underestimate the effect of the program, since the study period doesn’t capture the fully operational program. 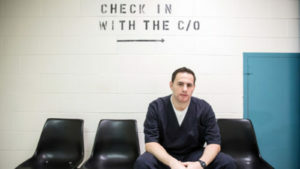 What makes the Rhode Island program unique is that it provides the full suite of MAT available to every individual coming in to or leaving the correctional system. Medications are continued if they are on them when they arrive, and started if they need them upon arrival or prior to release. This promising practice is a model for other states looking to stem the tide of opioid overdoses across the country. S.A.F.E. Project US looks forward to hearing more about the progress Rhode Island makes, and how other states can replicate these practices in their communities.